Bath Spa University is based in and around the beautiful historical city of Bath, UK. The university evolved from the Bath School of Art which came into existence 160 years ago and continues to enjoy the distinction of being one of the leading arts schools in the UK. 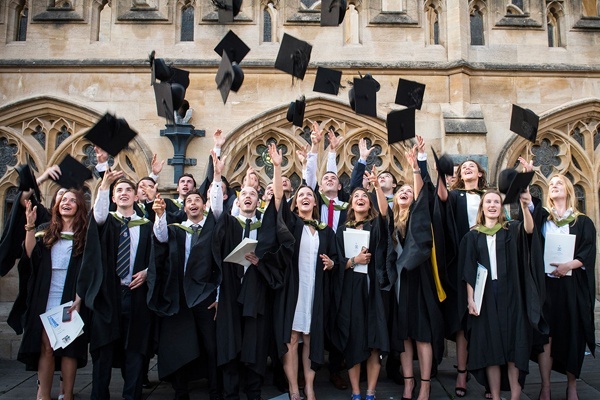 With an emphasis on creativity, culture and enterprise, Bath Spa University was ranked 7th in UK for quality of Teaching and Learning by Times Higher Education in 2010, and scored 88% in National Student Survey 2011. Subject Strengths: Art & Design; Education; Science, Enterprise and Environment; Humanities and Cultural Industries; Music & Performing Arts. The campus is home to all undergraduate courses and subjects except Art and Design. There can’t be many universities in the UK that rival this unique setting. It's an amazing parkland estate (leased from the Duchy of Cornwall), and despite its idyllic rural setting, it's only four miles from the buzz of central Bath. The grounds were designed by the well-known landscape architect Capability Brown in the eighteenth century. The campus also has its our very own nature reserve, a lake with its own lakeside walk, woods, historic listed buildings, and rolling fields. Sion Hill campus is the main base for the Bath School of Art and Design. Situated in the residential Lansdown district of Bath, an area renowned for its architecture, it's also helpfully within walking distance of the shops and bars of the city centre. Sion Hill's facilities have recently undergone a huge refurbishment and upgrade, making them some of the most modern in the UK. Sion Hill now boasts some of the most advanced resources around for art and design students, including graphic communication studios, electronic media workshops, studios for art, textiles and sculpture, workshops for wood, etching, lithography and silkscreen. See below for a list of amenities near our campus. Corsham Court belongs to the Methuen family and is the former home of the Bath Academy of Art. The Academy moved to the Court in 1946 and provided higher education in the subject areas of specialist art and design, teacher training, performing arts and combined arts. Bath Spa University retains the long term lease of the Court. Corsham Court is a specialist centre for postgraduate teaching and research. See below for a list of amenities near our campus. Dame Anita Roddick was a British businesswoman, human rights activist and environmental campaigner, best known as the founder of The Body Shop, a cosmetics company producing and retailing beauty products that shaped ethical consumerism. Anita was trained as a teacher at Bath Spa. "Bath Spa's international students talk about why they came to Bath Spa University, and what it's like to live and study in the city of Bath."